St Abbs is a fishing village north of Eyemouth on the Berwickshire coast. 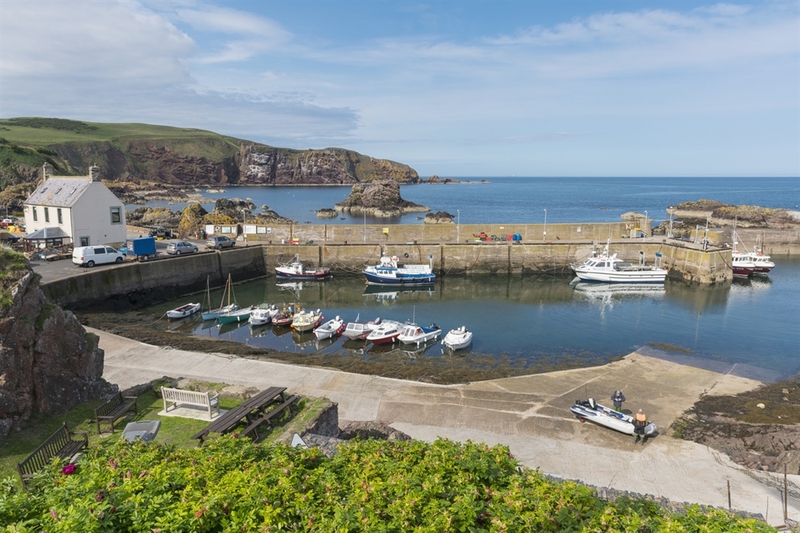 The remote fishing village of St Abbs has a rugged setting, surrounded by jagged cliffs, and old fishermen's cottages tumbling down to the surf-battered harbour. The village is named after Æbbe, a 7th-century Northumbrian princess who struggled ashore here after being shipwrecked and promptly founded a nunnery. Sea angling, sub-aqua diving, bird-watching and regular sightseeing boat trips run from the harbour. St Abb's Head National Nature Reserve comprises 200 acres of wild and rugged coastline with sheer, seabird-nesting cliffs rising 300ft above the water. From the top of these you'll get a spectacular view of the rugged Berwickshire coast - especially at high tide on a stormy day. 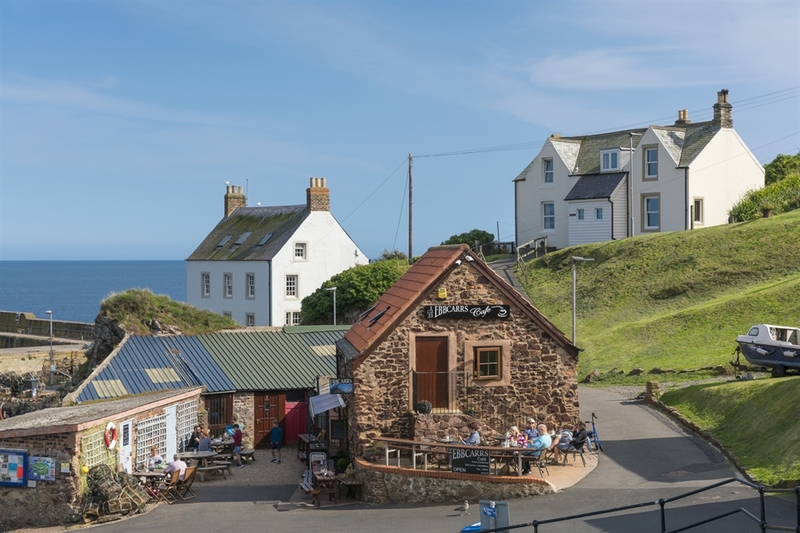 Coldingham Bay, to the south of St Abbs, is a fine sandy beach and is popular with surfers. VisitScotland / Kenny Lam, all rights reserved Eb Carr's Cafe in St Abbs VisitScotland / Kenny Lam, all rights reserved Eb Carr's Cafe in St Abbs VisitScotland / Kenny Lam, all rights reserved The harbour at St Abbs Sarah White, all rights reserved. 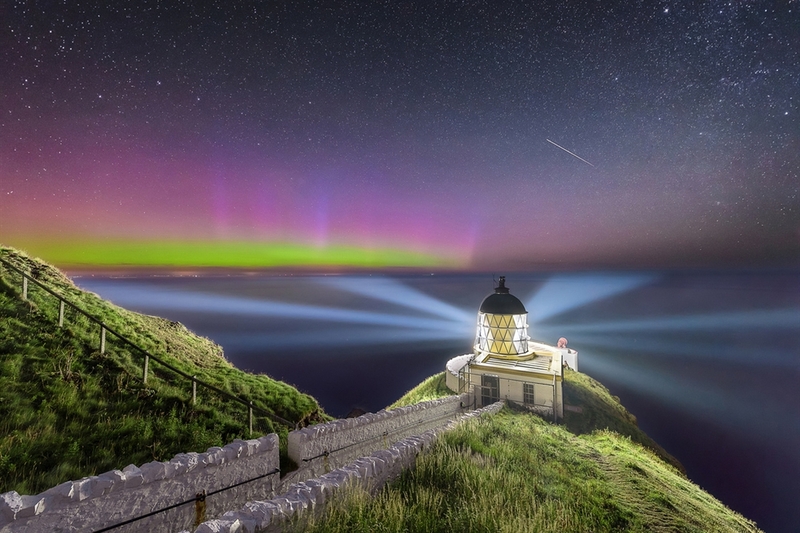 Aurora Borealis lights up the night sky with a spectrum of colour and serves as a perfect backdrop for St Abbs Lighthouse.